Glass Tiger Car Window Tinting Atlanta | Automotive, Residential, Commercial and Decorative Window Tinting Films in Atlanta Georgia Expert Auto Glass Tinting | Car Window Tinting Serving Lilburn Ga., Atlanta Ga., Lawrenceville Ga., Snellville Ga., Dunwoody Ga., Duluth Ga.,Suwanee Ga., Tucker Ga., Sandy Springs Ga., Norcross Ga., Marietta Ga., Roswell Ga., Buford Ga., Johns Creek Ga., Milton Ga., Decatur Ga., Norcross Ga.
You want the best don't you? You have come to the right place! 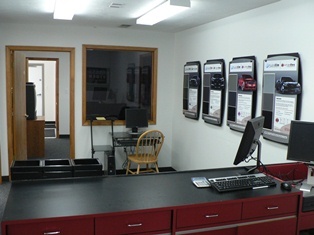 With more than 500 Five Star Reviews on Google, Yelp, and Facebook, you can rest assured that your car is in good hands. In fact, no other company in the State of Georgia even comes close. Check out our review page for verification, and see what hundreds of satisfied Glass Tiger clients say about how we take care of business. Give us the opportunity to work with you on a price that is reasonable. Our prices are competitive on all the films we carry. Everyone has a budget - we understand this and we will do our best to get within your price range. Be careful with lower priced window tinting estimates - some companies will give you a great price, but will use a lower quality film on your car, home, or office windows. We will not cut corners by installing inferior window films. That's why we only install quality films manufactured by Llumar, the supreme leader in window film technology. We have many different types of window films, and some will last longer than others. When you come in we will show you the options, and recommend a film based on how long you intend to keep your car, and what performance level you want against heat and UV light. residential and commercial films also have different properties and uses. We are available to do an onsite consultation free of charge for these films. We also have a wide variety of decorative window films for the home or office for you to choose from. We have films that come with a Lifetime Warranty for as long as you own your car. Make sure you take into consideration the regulations for the current window film law in the State of Georgia when making your film selection. Residential Window Films also come with a lifetime warranty against anything but customer damage. Standard 10 year warranty on Commercial Window Tinting applications apply. Ask about our extended warranties that are available as well.